Albert Einstein, one of the most prolific scientists of the twentieth century, developed the theory of relativity which was crucial for the advancement of modern physics. Young Einstein identified a paradox between Newtonian Mechanics and Maxwell’s equations which pointed to a flawed understanding of space and time by the scientists of the day. 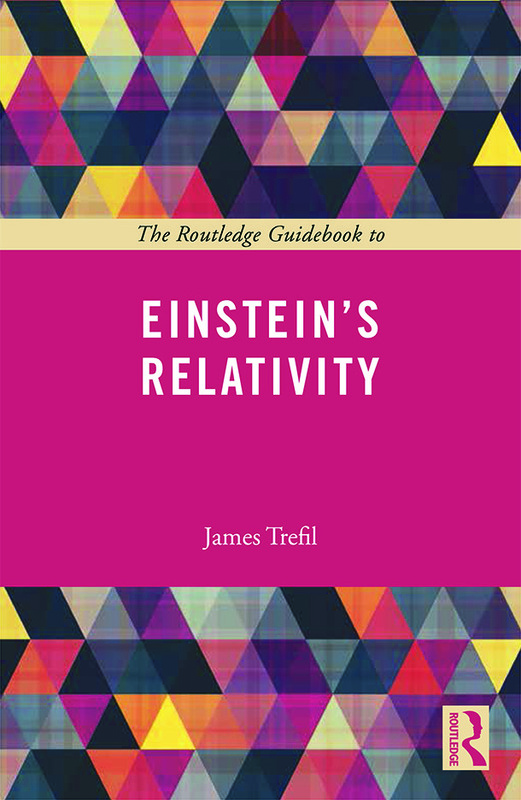 In Relativity, Einstein presents his findings using a minimal amount of mathematical language, but the text can still be challenging for readers who lack an extensive scientific background. the enduring legacy of Einstein’s theories and their implications for future scientific breakthroughs. This is an essential introduction for students of physics, philosophy and history in understanding the key elements of the work and the importance of this classic text to society today. This Guidebook is written in a style that is both authoritative and approachable. The reader is clearly in the hands of an expert author who is determined to make a challenging subject comprehensible and enjoyable. Professor Robert Lambourne, The Open University. James Trefil is Robinson Professor of Physics at George Mason University, USA. In 2000 he received the Andrew W. Gemant Award from the American Institute of Physics for outstanding and sustained contributions in bridging the gap between science and society. The Routledge Guides to the Great Books provide ideal introductions to the texts which have shaped Western Civilization. The Guidebooks explore the arguments and ideas contained in the most influential works from some of the most brilliant thinkers who have ever lived, from Aristotle to Marx and Newton to Wollstonecraft. Each Guidebook opens with a short introduction to the author of the great book and the context within which they were working and concludes with an examination of the lasting significance of the book. The Routledge Guides to the Great Books will therefore provide students everywhere with complete introductions to the most significant books of all time.